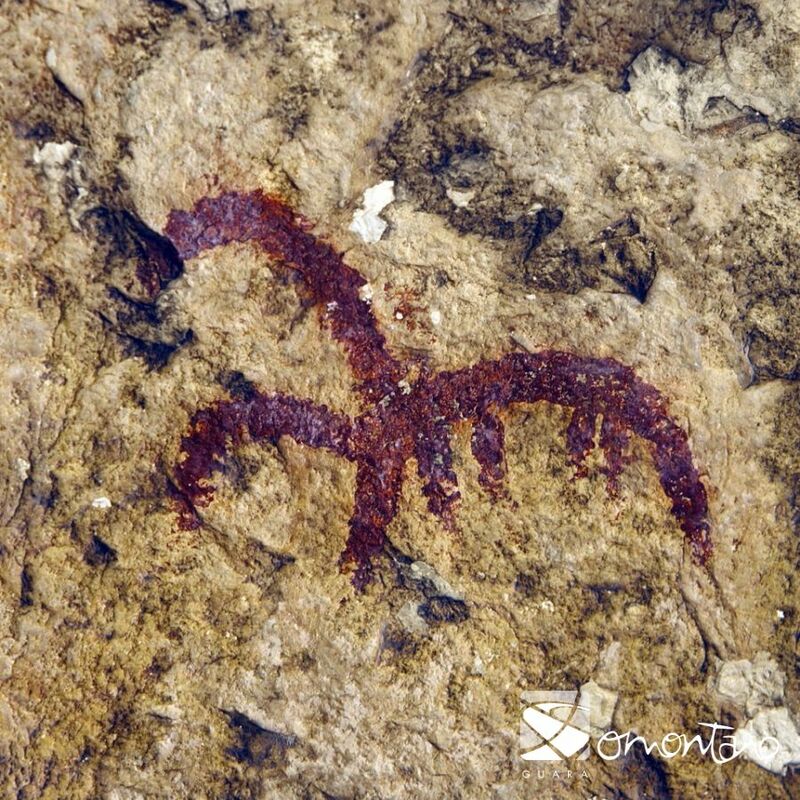 The river Vero has been a privileged witness to the creative genius of our ancestors for over 20,000 years. Hollows in the Vero canyon and of neighbouring gorges are home to over 60 sites, which boast the three classics styles of prehistoric Europe (Palaeolithic, Levantine and Schematic art). 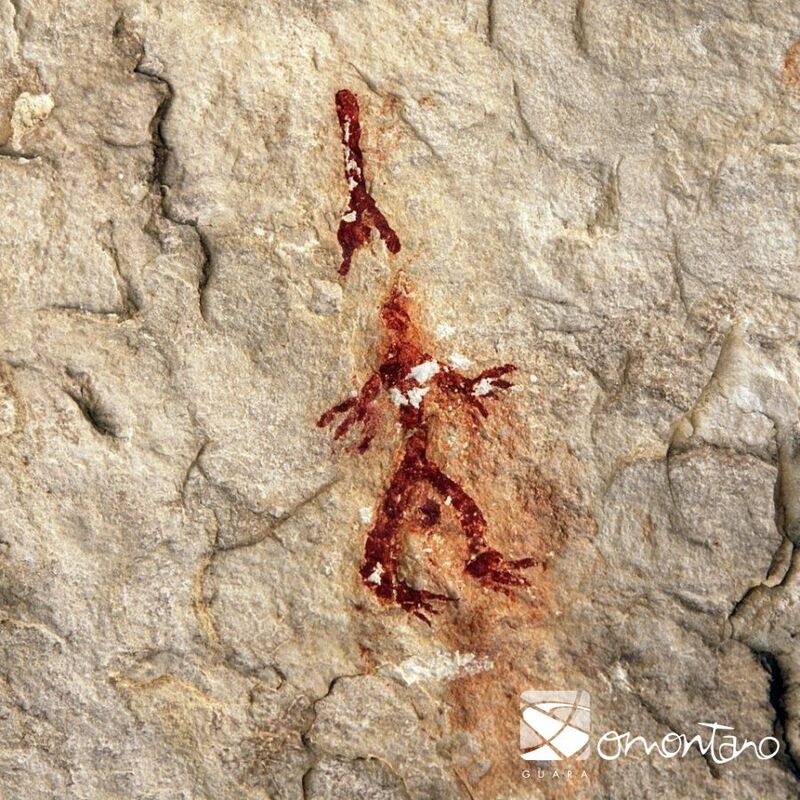 The ancient inhabitants of the Cueva del Trucho, the only site in Aragon with Palaeolithic paintings, created naturalistic, suggestive figures swathed in mystery in the semidarkness of the cave; children’s and adult’s hands, horses, dotted lines and signs. The must once have been a great sanctuary, similar to others in the French Pyrenees and on the Cantabrian coast. The Mediterranean mountain ranges of the Iberian Peninsula were the setting for the birth of a new art created by hunters and gatherers after the retreat of the glaciers. 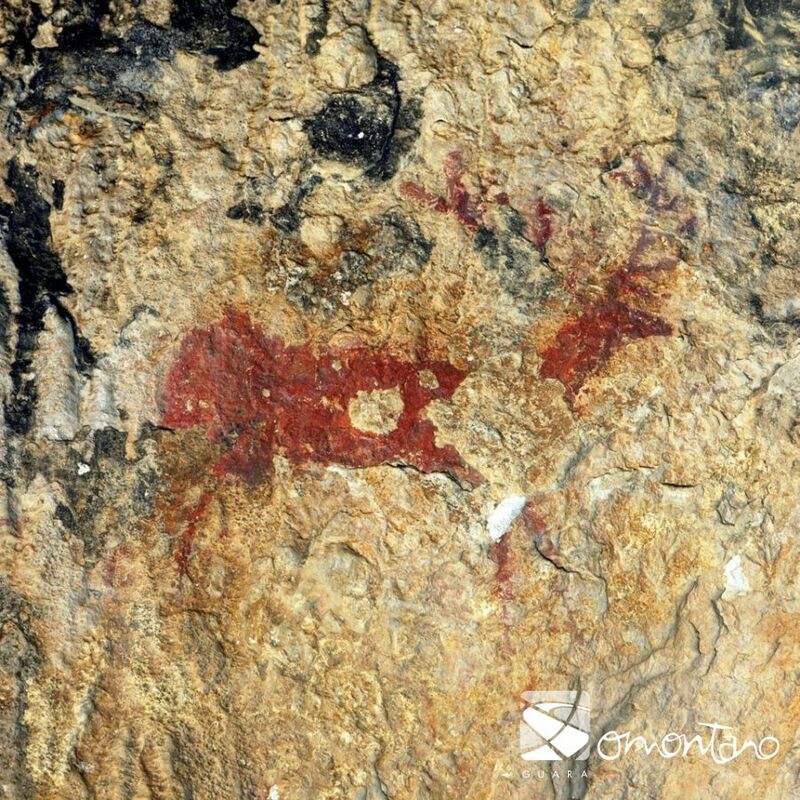 Their culture is expressed in small, rocky hollows exposed to the sunlight; hunting and gathering scenes, animals, humans etc., in shelters suchs as Arpán, chimiachas (a) and Muriecho (b). The Neolithic societies of the Metal Ages accessed remote shelters in order to express their lifestyles and beliefs, with new artistic expression characterised by abstraction. 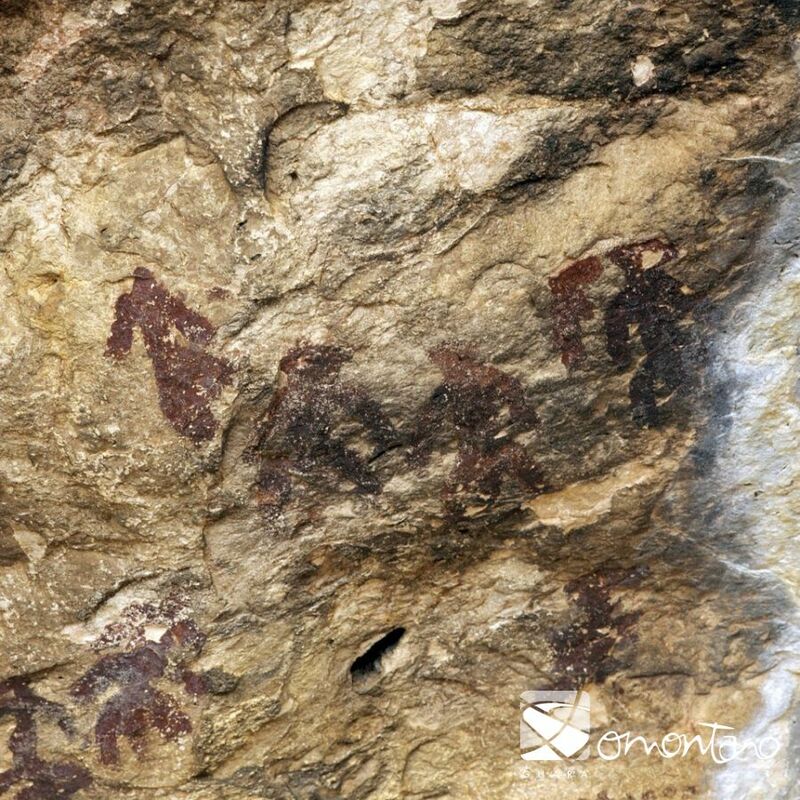 A human figure, animals, undecipherable sings, etc, in shelters such as Mallata (a) and Barfaluy (b) and in other areas within the Guara and La Carrodilla Mountains (c). The Cave Art Visitor Centre in Colungo offers information and activities realted to cave art and the societies that created it. 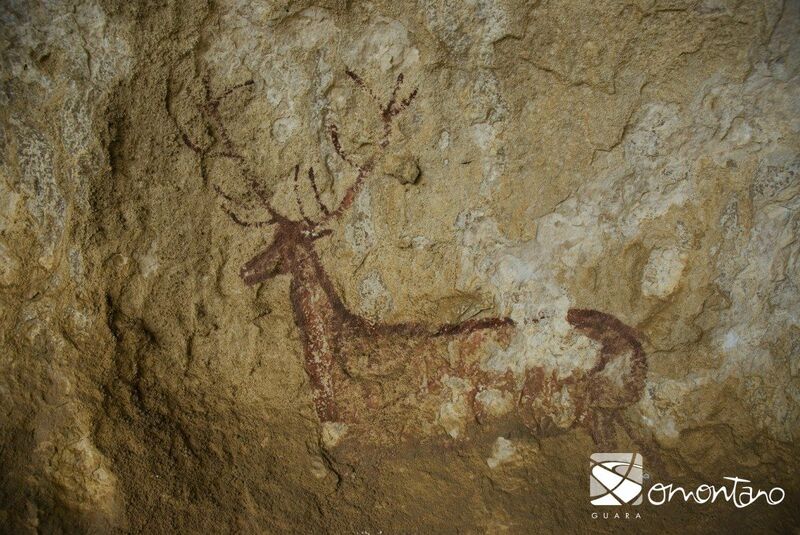 It is also the departure point for guided visits of local prehistoric paintings.